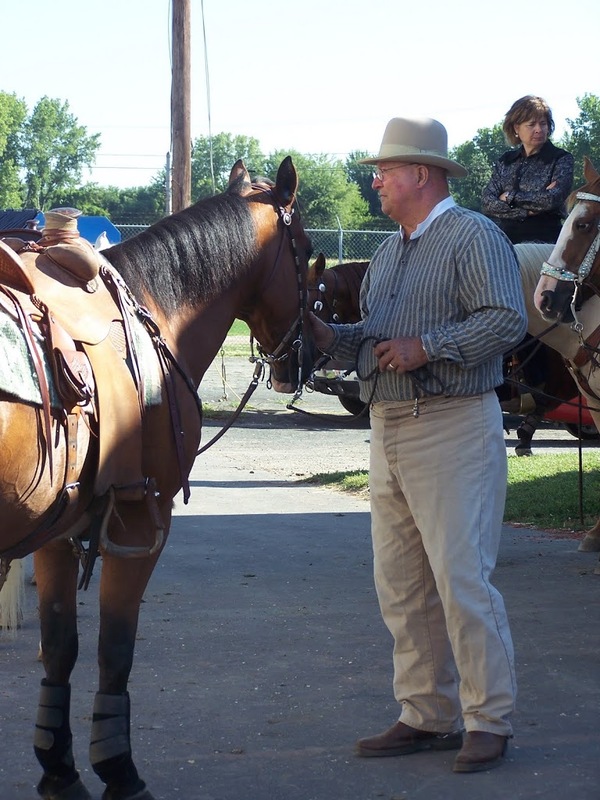 This is the essence of a Cowboy Church program I presented at the Northeast Regionals of Cowboy Mounted Shooting at Three County Fairgrounds on Aug 8, 2010. I love the fact that cowboy mounted shooting has cowboy church preceding many Sunday competitions. Cowboy Mounted Shooting is one of the fastest growing equine sports. 1880’s clad competitors ride a prescribed course of balloon targets firing blanks at them in this fast action rodeo timed sporting event. The partnership between rider and horse is so evident in the split second runs and concise accuracy of riding and shooting. It is unparalleled as a spectator sport with new riders finishing a course in about 1 minute and top riders blazing through in as few as 10 seconds. I saw that this weekend and the pure athleticism and power combined with the costuming is so exciting. The Ct.Renegades http://www.ctrenegades.com/ and the Mass Six Shooters http://www.masixshooters.com/ were the sponsoring clubs of the Northeast Regionals. Both clubs are part of the national organization known as the CMSA http://www.cmsa.org/ It was just a couple days before the competition in Northampton, Ma. when a call came from Cindy Karp, President of the Mass Six Shooters. Due to a work related issue the person due to lead Cowboy Church was not going to be able to join us, I was disappointed as he leads a wonderful service. Cindy really did not want to cancel cowboy church, she was calling with a ” can you help,” and of course I said yes. Running a weekend long competition is a huge job and she had plenty on her plate along with Roger Dinsmore, President of the Ct. Renegades I told her ” got it covered don’t worry about it.” I meant it because the story I wanted to share had been percolating in my head for days. Apparently it was there because it would be needed. I began to pull the pieces of a service together on the theme Blind Faith. Here is the essence of what I came up with. A popular definition is: ” A belief that does not rest in logical proof or material evidence.” Then of all the words after faith in the Thesaurus I chose – Trustfulness as the word most closely related to my image of faith in this application. We had an opening prayer I wrote, asking for blessing on those gathered, for our horses who are the embodiment of the Lord’s wind, sand, spirit and strength. I asked those to remember to live by the “Code of the West” and that our unspoken prayers be heard that morning. 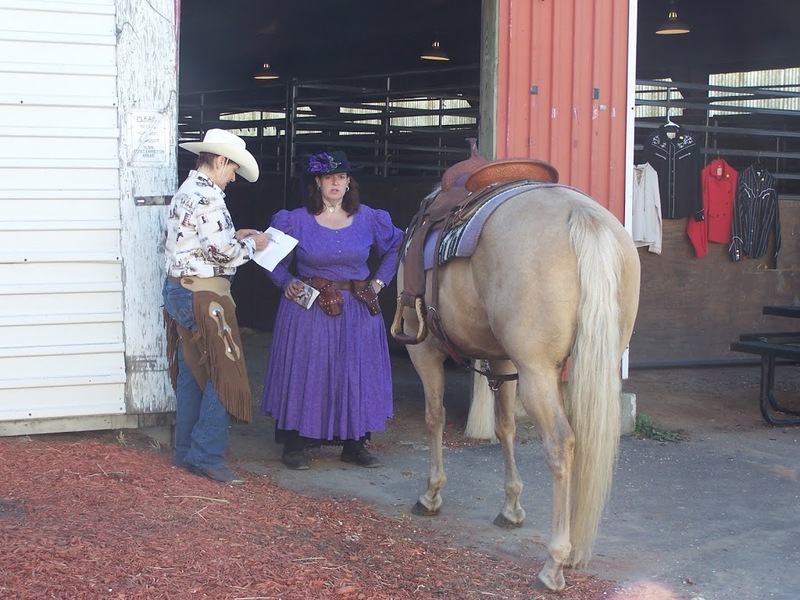 This was followed by a duo reading of Psalm 146 , one line which states “….The Lord sets the prisoners free; and opens the eyes of the blind…” Then Dy Rizzo shared a cowboy prayer from the American Quarter Horse Journal . I then became the storyteller with an abbreviated rendition of the popular Will James classic of the Seeing Eye. Will James was a real cowboy of the 1920’s and artist and writer of considerable talent. The Seeing Eye story is a tale of a ranch cowboy blinded in adulthood who continues to work the family ranch on horseback using skills acquired over a lifetime, incredibly well trained horses and the Blind Faith that they would see him through the days work. In the end he is caught across a river during a flash flood and the only way back is over the train trestle , one agonizing step at a time. He leaves the decision up to Little Eagle his horse and they make the painstaking journey with total faith in each other. About mid way across the distant whistle of the train alerts them to the impending disaster. They ride on causing the train to skid to stop which in the end saves all aboard. The intimate relationship between a horse and his rider is developed slowly and all present could appreciate the skill it took to rest ones hand on the withers ( neck before the back) of the horse to “read” his muscles as a cue to ” seeing” what was ahead. 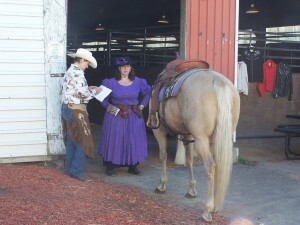 It was in this moment that the cowboys and cowgirls assembled at cowboy church were thinking most of their rides and what a skill this was, of the immense Blind Faith these two shared.